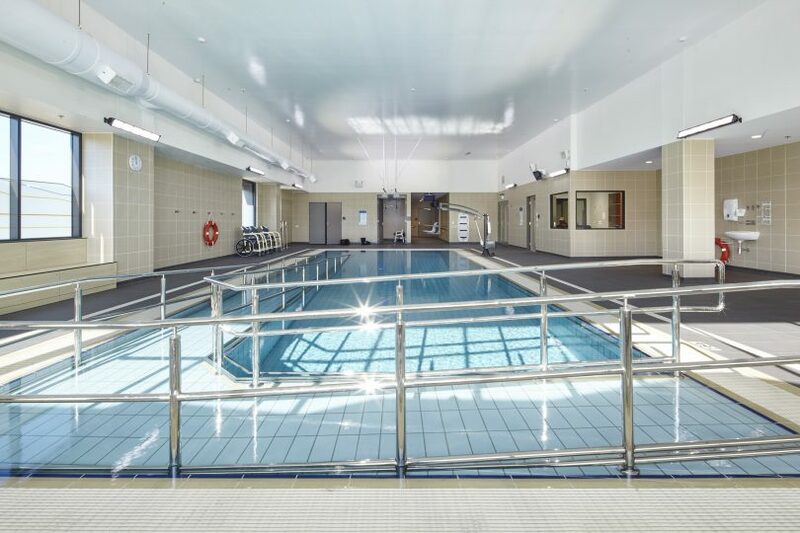 The new hydrotherapy pool at the University of Canberra Hospital has a smoother entry for wheelchair and ambulatory access, flat surrounding surface and hoist. Photo: Supplied. The hydrotherapy pool at Canberra Hospital will close in July to make way for a new facility at the University of Canberra Hospital in Bruce. Minister for Health and Wellbeing Meegan Fitzharris said the new state-of-the-art hydrotherapy pool would better meet the needs of the ACT community and it had always been the Government’s intention to fully transition all rehabilitation services throughout Canberra to the new facility in Bruce. “UCH offers patients a state-of-the-art facility for rehabilitation outside an acute hospital setting, such as Canberra Hospital and Calvary Public Hospital Bruce. It offers a more therapeutic environment that will promote recovery and encourage activity, independence and autonomy,” the Minister said. Ms Fitzharris said bringing all of ACT Health’s rehabilitation staff and facilities together in the one place would result in better outcomes for patients. “Patients will be able to access the hydrotherapy pool, gym and purpose-built therapy courtyards within the same facility. Moving rehabilitation services into the one health facility provides the opportunity to streamline appointments and will save Canberrans from having to travel to various locations across the ACT to access these services,” she said. She said the Government was working to ensure good access to services, such as public transport, to support those who would be using the new hospital. “ACT Health is also working with community organisations and service providers who currently use facilities at Canberra Hospital to ensure the transition of these services for their clients is as seamless as possible,” Ms Fitzharris said. The new pool would be available for therapeutic use out-of-hours by non-ACT Health services and paediatric services, in the same way the as the pool at Canberra Hospital. Referrals to the new pool can be made by ACT Health clinical staff, physiotherapists, general practitioners, medical practitioners and the UCH intake team. Another cut from the south to give to the north. Light rail will never happen. If the new Weston pool has a sauna and a spa like the Perth public pools have it would help greatly in the rehab in the community ben. Stupid idea not very central .. will there be good bus services etc why not keep both open. Imagine living in banks and needing rehabilitation services like the pool and having to travel to Bruce... who makes these decisions? People who don’t have to rely on public transport to get around! I guess it'll be the same for people living in dunlop needing to access all the services at the canberra hospital.